How does your garden grow? 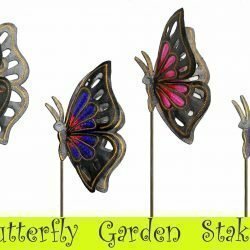 With Haitian stakes, beautifully made… all in a row? 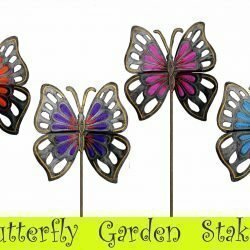 Singing Rooster carries an excellent variety of Fair Trade metal garden stakes, handmade in Croix des Bouquet Haiti from upcycled steel. 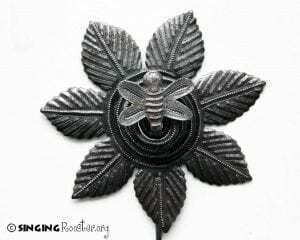 Our bee perched on flower is, hands down, the fan favorite. Why? It’s elegant, delicate and so very Haiti! Designed by long-time friend of Singing Rooster, Louis Omniscar. 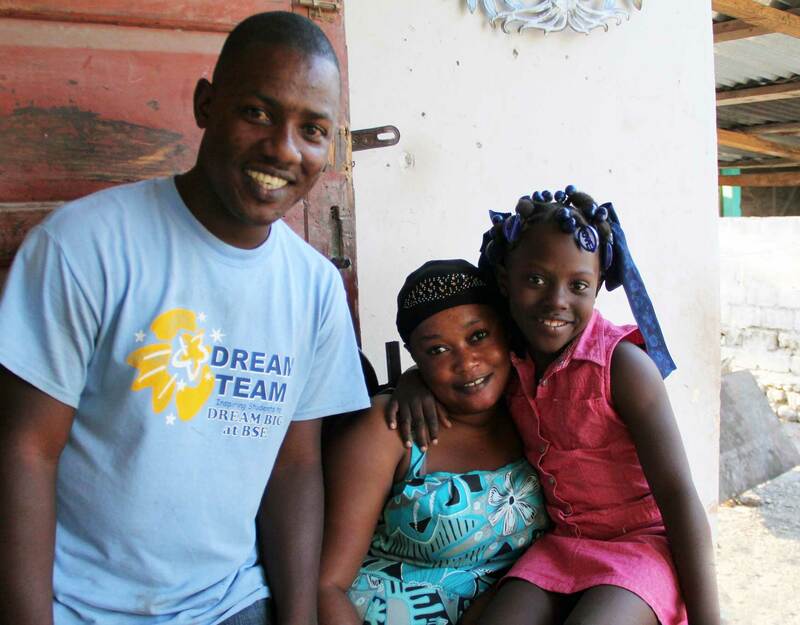 Your purchase helps support his cute family (we know them, they’re totally adorable). 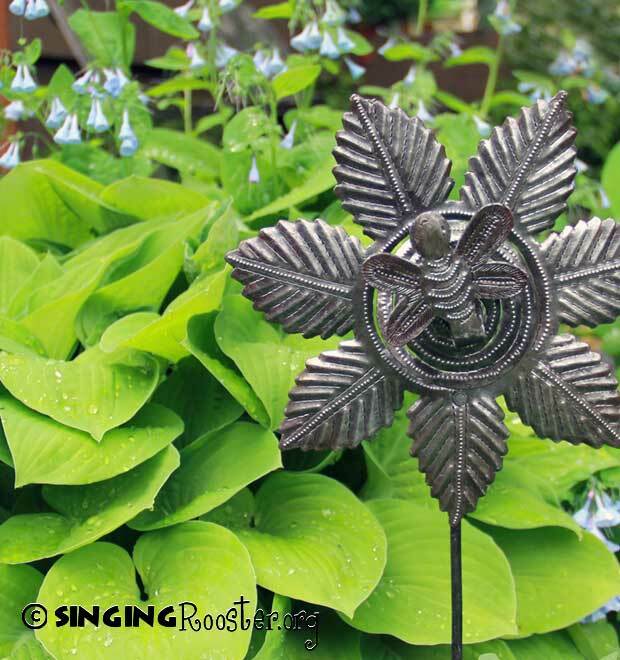 For outdoor use: the top coat of varnish wears away over time, and the art piece rusts naturally. Maintain the original look by spraying with a clear enamel every couple of years.